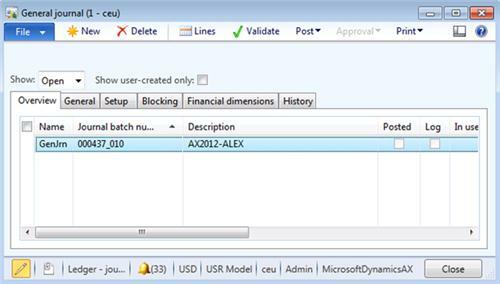 As previous post i published before with title “Microsoft Dynamics AX 2012 Data Import/Export Framework standalone version for AX 2012 R2 without installing full CU7”. I installed DIXF/DMF for AX 2012 R2 on my machine and it is installed and working properly since it is displayed as module on my system, But when i tried to install it on our test server it is installed without any error is occurred but DIXF / DMF is not displayed as module on main menu. – If Not, so please check your installation log may something wrong and re-install it. 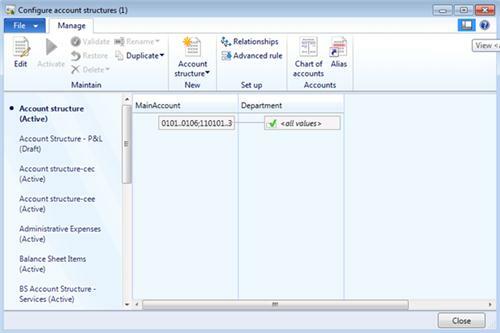 We have recently released the new version for Microsoft Dynamics AX 2012 Data Import/Export Framework as part of Microsoft Dynamics AX 2012 R2 CU7. We received lot of requests to get the new version for AX 2012 R2 (Base R2 and/or CU1, CU6, hotfixes) without taking full CU7. To make this happen, we have released an application hotfix for DIXF which can be installed on AX 2012 R2 (Base R2 and/or CU1, CU6, hotfixes). The hotfix does not contain the binary files for the Data Import/Export Framework. You must install the binary files for the Data Import/Export Framework by using the CU7 update installer. The application hotfix contains the application files for the version of the Data Import/Export Framework that was released with cumulative update 7. Important: This hotfix does not contain the binary files for the Data Import/Export Framework. You must install the binary files for the Data Import/Export Framework by using the CU7 update installer. Install this hotfix using the installer that it ships with. Complete the software update checklist. You must install the binary files for the Data Import/Export Framework by using the CU7 update installer. Install Data import export framework Client, AOS and Service components. As of cumulative update 7, you can install the Data Import/Export Framework from the update installer. For an overview of the Data Import/Export Framework, see Data import/export framework user guide ( (DIXF, DMF). If you have previously installed the Data Import/Export Framework from InformationSource, you must fully uninstall it before installing again with cumulative update 7 for Microsoft Dynamics AX 2012 R2. This includes removing all binary files by using Add/Remove Programs, and the uninstalling Data Import/Export Framework model. For more information see How to: Remove (Uninstall) a Model. Browse to the location where you extracted the files for the update, and then double-click AxUpdate.exe. On the Welcome to Microsoft Dynamics AX Update Setup page, click Next. On the Software license terms page, review the license terms, and then click Accept and continue. On the Select packages to update page, select the components of the Data Import/Export Framework that can be installed on the local computer, and then click Next. The prerequisite validation check runs. Address any issues that the prerequisite check finds outside the installer, and then restart the validation check. When all prerequisites have been found, click Next. If you are installing on the computer that runs Microsoft SQL Server Integration Services, specify a service account and the version of SQL Server that is running. We recommend that you use the AOS service account. If you are installing on the AOS computer, specify the name of the server that is running SQL Server Integration Services. On the Review updates to be installed page, click Next. On the Ready to install page, review the summary, select the Automatically restart the AOS instances after installation check box, and then click Install. After the installation is completed, verify that the updates were installed successfully, and then exit the wizard. Follow the steps on msdn to install the Data Migration Framework. 2. Under the Applications content, you can select your dimensions. The Dimension code lookup is a multi selection lookup (tick the selection box on the left of the lookup and ok). 4. From the Processing group form, click on Entities. Create a new record. In this example I created one for a Vendor import. The Sample file path field will be blank. If you use the Demo files, then skip steps 5 to 7. If you want to modify the columns, then do steps 5 to 7, as it will ask you if you want to modify the existing file format. 5. Generate a sample file by clicking on Generate source file button. Follow the wizard and select the fields to import. 6. Then click the Generate sample file button. This will open up the sample file in notepad. 7. Now fill in your data on the txt file. 8. Back on the main form click the Generate source mapping button. This will analyze the file and do the mapping between the file and the staging table. 9. Now you can open and view the mapping by clicking on the Modify source mapping button. It should looks something like this. The Source is your txt file and the Staging is your staging table in AX. If your source file is messed up, you should be able to see it here. 10. Now validate the setup by clicking the Validate button on the main form. 11. View target mapping. This is a mapping between the Staging to the Target table. This should already be predefined. You can however modify the mapping. Notice a the Function options on the left. These are predefined methods in the class to allow you to execute business logic. The example below, when you pass in a string of dimensions A-B-C, the GenerateDefaultDimension function splits the string up and generates a DefaultDimension RecId. A similar thing happens with the GenerateParty, which creates all the required global address book records to return a Party RecId. 12. Back on the main form.Click the Preview source file button. This loads up the file, to give you a preview of your file..
13. Go back to the Processing group form and click the Get staging data. This opens up a dialog with the processing group, click OK. You will then get this form. Click on the Run to run client side or Click on Run on AOS to run server side. Usually, the user account doing the import wont have access to SQL integration servers. Use the second option and it will run under the service account. This should run and complete with out errors. 14. You can now see the staging table by going to the Execution history from the Processing group form. From there you click the View staging data button. You can modify the staging data before you process it to the target. 15. To process to the target, click on the Copy data to target button. Follow the options to execute the process. You are now done. The result should be the vendor record created. Purpose:The purpose of this document is to illustrate how to use Microsoft Dynamics AX 2012 Excel Add-in for import of ledger transactions. Challenge: Data model changes in Microsoft Dynamics related to high normalization and introduction of surrogate keys made some imports more complex. In fact the data model forming General Journal was not dramatically changed and import principle remains the same – populate the journal and then post the journal. However some information which is usually automatically generated in Microsoft Dynamics AX 2012 Rich Client by means of number sequences such as voucher number will have to be provided. Solution: Microsoft Dynamics AX 2012 ships with General Journal AIF Web Service (LedgerGeneralJournalService) which can be used in integration scenarios. Also General Journal AIF Web Service can be used in Excel for import of ledger transactions. In order to import ledger transactions using Excel the mentioned AIF Web Service will be used. Assumption: The assumption is that appropriate reference data such as main accounts, etc. was created in advance. LedgerJournalTable The LedgerJournalTable table contains all the defaulting and state information pertaining to a single journal. 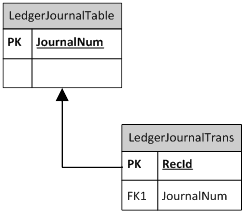 The transaction details of a journal are managed in the LedgerJournalTrans table. LedgerJournalTrans The LedgerJournalTrans table contains the transaction detail information that pertains to a single journal. The individual transaction lines are also referred to as voucher lines. The journal is a record in the LedgerJournalTable table. Summary: For the purposes of small or medium data migration (data conversion) where performance is not a concern Excel can be used for import of ledger transactions into Microsoft Dynamics AX 2012. General Journal AIF Web Service (LedgerGeneralJournalService) can be used in Excel for import of ledger transactions. 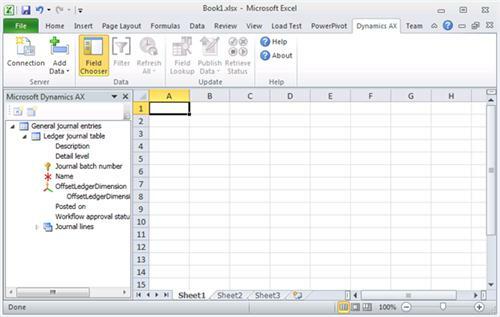 Excel template can be created and used for import of ledger transactions.